These injectors may be categorised into two general types. This refers to the actuating means for injector operation. What does a Technician need to know about this type of injector? Simplified operation: When activated by the Diesel ECM, the Electromagnetic solenoid on top of the injector allows the internal high-pressure hydraulics to lift the needle off its seat and injection takes place. As soon as the solenoid is de-activated, the internal hydraulic pressure forces the needle on its seat and injection is terminated. Multiple injections may occur in one cylinder firing cycle to control the explosive combustion for emission and noise reduction. 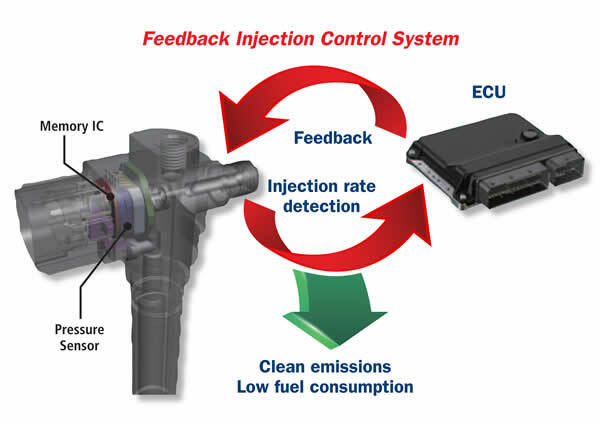 The fuel rail and internal injector hydraulic fuel pressure varies dramatically depending on driving and operating conditions which requires the ECM to alter injector opening times (please be aware of safety requirements due to high fuel pressures). High operating Voltages and current are required to initially start injection. Typically, “Opening Voltage” from 60 – 100V. A diesel return flow port is located on the injector which can assist in diagnosis. See PlusQuip EQP-107 details here including a short film on testing diesel return flow. Each injector QR code is required to be entered into the ECM. Pilot Injection leaning procedures also on some systems. Typical coding instructions are generally supplied with the new CRD injector purchased. A suitable scanner is also required for this procedure. Note: Fuel contamination is the main cause of premature failure. Fitting new injectors when fuel is still contaminated will result in damage to the new injectors. The fuel system must be thoroughly clean. Simplified operation: The internal construction of the Piezo injector varies with the Electromagnetic type. A stack of internal semiconductors expand when activated (Instead of solenoid) which results in much quicker injector opening times. This allow for an increased number of pre and post main injection operations for an individual cylinder combustion cycle which results in a smoother, cleaner and quieter engine. Most manufactures are now currently utilising this type of injector on new vehicles. The fuel rail pressure / injector operating pressure is generally greater on this system which allows for finer fuel spray. Typical operating voltages and current on most systems may be in the range of 100 – 400V and minus 20 to +20 Amps. Reversing injector polarity by the ECM may be required on many systems to retract the semiconductors to rapidly terminate injection. Warning – Not recommended to remove injector harness from injector when the engine is operating as the injector “may” continue to inject fuel and cause engine damage. 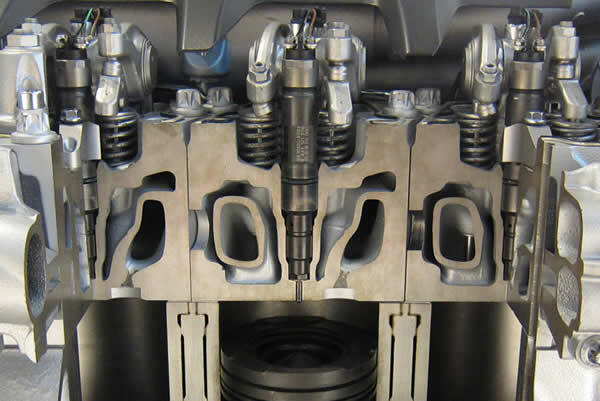 Post fitting procedures are still required for this type of injector system. Note: Fuel contamination will damage these injectors as well. What is the future of the Piezo type injector? A selected range of Volvo and Toyota models (an example only) are now fitted with CRD injectors that incorporate a fuel pressure and temperature sensor which allows for accurate injection amounts to suit the individual cylinder. The more useful information will result in a more efficient engine operation.